The World of Wonders promotion can be played at Betsson Casino along with Mr Green Casino, Unibet Casino, and ComeOn Casino. NetEnt’s Mega Fortune progressive jackpot slot game has had its first hit of 2018 with a €2.6 million win. 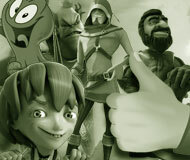 Guts Casino offers its new players a welcome bonus package of up to €300 plus 100 free spins. Wild Wild West: The Great Train Heist offers up to 1000 spin. Read all about third party auditing, independent testing and recognition from the industry. More insightful details than any other website. We have a bonus for every taste and budget. Comprehensive and honest casino reviews, highlighting red flags and known issues to ensure that you do not get any surprises. A concise and fair scoring system which allows for meaningful comparison of casino sites, backed up by our database which is based on over 110 individual data points for each site. Learn why NetEnt has been the fastest growing online gambling software developer and why players all over the world are seeking out their games. Try all the NetEnt casino games for free before you make your choice of where to play for real money. The latest game, promotion and industry news reported as it hits the wires. Our message is simple. There is no other independent website that covers NetEnt like we do. EveryMatrix is one of the largest licensed distributors of NetEnt's games. We review this interesting company and its relationship with Netent. This article explores the stance on responsible gambling from the major jurisdictions that license Netent and their operators. Slots for those high rollers with deep pockets. We review the NetEnt slots with the highest limits. Software giant, NetEnt AB has joined with a number of big brands such as Universal Studios to bring players exceptional slot games. We look at the status of NetEnt and its operators in regulated markets and what this means for players. Learn about NetENt’s professionalism and the high standards that it sets for itself and its operators, and why this ultimately benefits the online gambling community. 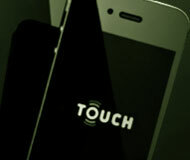 NetEnt Touch is one of the most advanced mobile casino platforms out there. Apple and Android smartphone and tablet users need look no further. 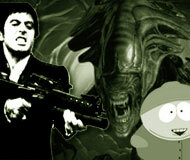 South Park, Dallas, Aliens and blockbusters like Starburst have kept this software provider well ahead of the the game. An overview of NetEnt software and technology and what makes it so special. Credibility gained through independent testing. Highly respected by observers and peers. The finest graphical quality in their games. Big name games through third party deals. Reputable and professional operators use the software. Click or scan this image using your phone to play at Guts Casino.